In this post we are going to give an overview on what needs to happen to a raw 3D scan before it becomes a full color 3D printed figurine. One of the most overlooked items when people set up their 3D figurine business is how much time and effort it takes to turn a raw 3D scan into a product their end customer is happy with. All of the steps outlined in this article are automatically done for you if you are using Twindom's fulfillment services and worldwide network of 3D print partners. If you are not using Twindom's fulfillment services, then you should expect it to take multiple hours of manual digital post-processing to turn the raw data produced by your full body 3D scanner into something that will turn out well when printed on a full color 3D printer. This is almost the complete opposite of regular photography where we are used to being able to instantly print beautiful looking photographs when only spending a few minutes in Adobe Photoshop to touch them up. *Note: This post has been updated since original posting to include 2 additional steps now common when making 3D printed figurines: HD retouching and additional coatings. While not all 3D figurine companies do this, it is becoming more and more common. Instead of just sending a 3D scan off to a 3D artist right away, some companies will reprocess the 3D scans with more robust algorithms. The reprocessing can sometimes automatically remove problems from the 3D scan such as texture misalignment, inaccurate geometry, etc. While the reprocessing can take a significant amount of computing resources it is often still cheaper than paying for the equivalent adjustments in the 3D model in 3D artist time. Once you have reprocessed your raw 3D scan, you would send it off to a 3D artist. A 3D artist will use 3D software programs (such as Zbrush, Maya, 3DS Max, etc) to fix any remaining issues with the file. Because of the variance in 3D scan data quality, 3D artists will normally spend an average of 1-6 hours fixing a single 3D scan. If you are taking your 3D scanner to events or setting up in malls and doing hundreds of scans per day, this can become a major bottle neck. To learn more about HD retouching, click here. When all of the 3D digital edits have been made to the 3D scan, the file needs to be scaled appropriately. Most 3D printers take their measurements in millimeters so we will want to make sure we set the units correctly and then scale the model to the appropriate height. For example, if the customer wanted a 9 inch full color 3D print, we would scale to 229 mm. Loading the file into the 3D print software is pretty straightforward. You will want to make sure everything is oriented in the print bed properly and take note of the estimated finish time. Once you start the full color 3D printer, you must wait until your files are done printing. 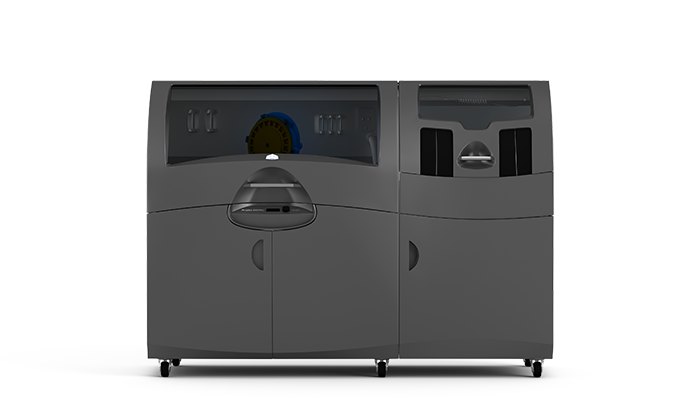 Depending on how many full color 3D prints you put in the printer at once, this can take anywhere from 3 to 20 hours. Every couple of hours it is a good idea to check on the full color 3D printer to make sure it is still running successfully, as the printer may error out during the process. *Update since original post: There have been updates on the front of full color plastic printing and some of the forerunners who are working to bring professional-grade full color plastic printing to a larger audience are Mimaki and HP. 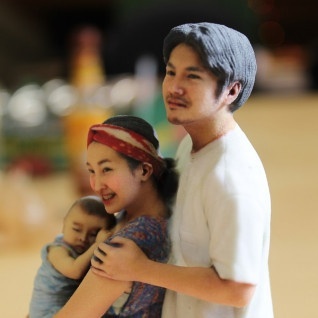 Although the technology is still very new (and in testing in some cases), we believe that once this new generation of 3D printers are widely available, it will change how people perceive 3D printed figurines. We have seen sample prints of 3D scans from our full body 3D scanner and the results were stunning on the Mimaki 3DUJ-553. HP is working on offering low cost, full color plastic material, but we have yet to see samples of our data printed on these machines. The next few years will be a very exciting time for full color 3D printing. We hope to incorporate these new technologies with our existing product offerings to reach a wider customer base. When the printer finishes you will want to let the parts dry in the 3D print bed for 2-3 hours. After drying, you will want to carefully remove the prints and inspect them for breakage, color shift, build lines etc (all print quality issues). Normally 1 in 3 prints will need to be reprinted because of a defect. It's really important you factor in reprints when calculating your cost of goods for producing the 3D prints in-house. After removing the 3D prints from the 3D printer and inspecting quality, it is time to dip the prints in super glue to lock in the colors and give them strength. Once dipped in the super glue, the prints need to dry for 2 to 3 hours before they're ready to be packed and shipped to customers. As mentioned in the earlier comment about HD retouching, when this article was first written 3D printed figurines were just starting to go mainstream. For companies looking to differentiate, many have been adding additional coatings to make the 3D printed figurines more durable and last longer. Without these additional coatings, many 3D printed figurines will degrade in quality over time. For example, if a 3D printed figurine is put on display on an area with high humidity the colors will fade. For customers using Twindom to help fulfill their 3D printed figurine orders, adding TwinProtect makes the 3D printed figurine UV/water resistant. To learn more about TwinProtect, click here. When the prints are dry from the super glue you're ready to pack and ship your 3D printed figurines off to customers. You will want to make sure you pack the prints carefully to minizmize breakage that can happen in shipping. By now, you've probably realized that doing your own fulfillement for 3D printed figurines is pretty time consuming which is why most companies outsource it. On average there is about 4 hours of manual work that needs to be done on each 3D scan before it can be delivered to a customer as a 3D printed figurine. If you took your scanner to an event and sold 100 3D printed figurines then would mean 400 hours of work which would take a team of 10 full time people an entire work week to fufill!